The Truth Behind Kate Middleton’s Royal Title: Is She a Princess of a Duchess? Is Kate Middleton a duchess, a princess, or both? That’s what a lot of royal fans have been asking for several years now. In fact, many people are still confused about Kate Middleton’s official title as she has quite a few of them. A lot of media outlets on both sides of the pond like to call the Duchess of Cambridge ‘Princess Kate’ in the media. But is she really a princess? That’s what a lot of people have been debating ever since she married Prince William back in 2011. Kate’s proper title with William is Their Royal Highnesses Duke and Duchess of Cambridge, which was given to her on her wedding day. And even though she’s married to a prince, the British royal family doesn’t refer to her as a princess, which has left a lot of people confused about her status. Thankfully, one royal expert has recently cleared up the matter by giving us the answer we’ve all been looking for. Plus, there’s also the fact that as a member of the royal family, Kate has several official names. Some of her official titles include Princess William of Wales, Her Royal Highness The Duchess of Cambridge, Her Royal Highness The Countess of Strathearn, Countess of Strathearn and Lady Carrickfergus. If that weren’t enough, a lot of people also like to call her ‘Catherine’ along with ‘Kate.’ And even with all of her royal names and titles, the world still loves to refer to her as Kate Middleton. And according to the Duchess herself, she says that she doesn’t mind it one bit. 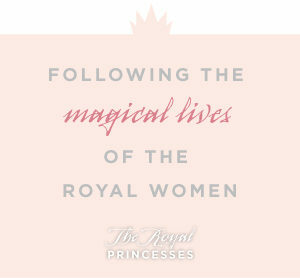 In the meantime, don’t forget to check back with The Royal Princesses for all the latest news and updates on Kate Middleton and all of your favorite princesses right here!